are well rounded at the office and home. Houston Associates Realty promotes an open door policy, ongoing continuing education, wealth building, and coaching by our top producing Brokers. In addition, we enjoy round table sessions, and social functions. At Houston Associates Realty, we have developed a network of REALTORS? that add to an environment of coaching, friendship, and professionalism, which enables everyone at every level to reach their true potential, and individual goals. I would like to invite you to visit Houston Associates Realty, so I can meet you personally, and introduce you to our team of professionals. Members of Houston Associates Realty receive education discounts. Call us for details! At Houston Associates Realty, the importance of technology is known from day one. 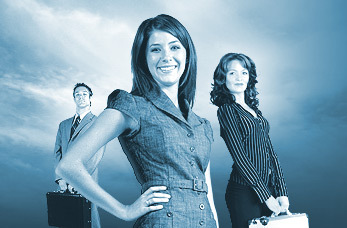 The highest level of internet, computer, and conferencing are utilized to ensure agents work with ease. Nearly all paperwork is transmitted via our paperless Intranet system. Have questions? Call us anytime. Copyright © 2017 Jeffry Hilton Investments Inc. All rights reserved.